Rania " met with a number of Rosary Sisters nuns during a visit she paid today to the Rosary Sisters Visitation Home. The Queen toured the facility to check on the various services it provides to elderly resident nuns. Upon her arrival, Queen Rania spoke with a group of elderly nuns living at the home most of whom had spent their entire lives doing humanitarian work in different fields including education, health, and social services. To express their appreciation of the Queen's visit, the nuns presented Her Majesty with two gifts: a Holy Qur’an and a piece of hand embroidery that the nuns had made themselves. After the meeting, Queen Rania toured the Rosary Sisters Visitation Home which was established by the Rosary Sisters in 1996, and checked on one of its rooms. The home is comprised of several rooms and different facilities that aim to bring comfort to the residing nuns as well as the sisters supervising the home. Her Majesty also had the chance to meet with a group of Rosary Nuns who work in different fields in Jordan outside of the home. The Queen praised them all for their efforts and achievements in giving back to society through their humanitarian efforts." "In a ceremony attended by Her Majesty Queen Rania Al Abdullah, the University of Jordan (UJ) awarded HRH Prince Al Waleed Bin Talal an honorary doctorate in International Business. Prince Al Waleed was granted this degree in recognition of his regional and international efforts in the fields of business, economic development, administration, tourism and media." "During a visit today to Eskan Al Jam’a Mixed Secondary School, Her Majesty Queen Rania Al Abdullah checked on the progress and outcomes of two educational projects carried out by the Jordan Education Initiative (JEI); "Fursati Liltamayyoz" and "Demoqrati" programs. Through the Fursati Liltamayyoz project, JEI aims to bridge the gap between the outcomes of the education system and the needs of the job market by providing youth with advanced skills needed to improve their chances of employment in well reputed companies. As for the "Demoqrati" program which was launched by the King Abdullah II Fund for Development (KAFD), JEI started to implement this project to help young people build their national identity and create positive attitudes towards their national responsibility. It also helps youth master the skills of dialogue and dealing with differences. Both projects are being implemented by JEI in several public schools in Jordan"
Rania " presided over meeting with representatives from the National Council for Family Affairs in Amman"
"As Chairperson of the council, the Queen emphasized the importance of automating national procedures relating to family abuse cases and connecting all stakeholders to facilitate referrals, ensure proper follow up and to avoid duplication of efforts. 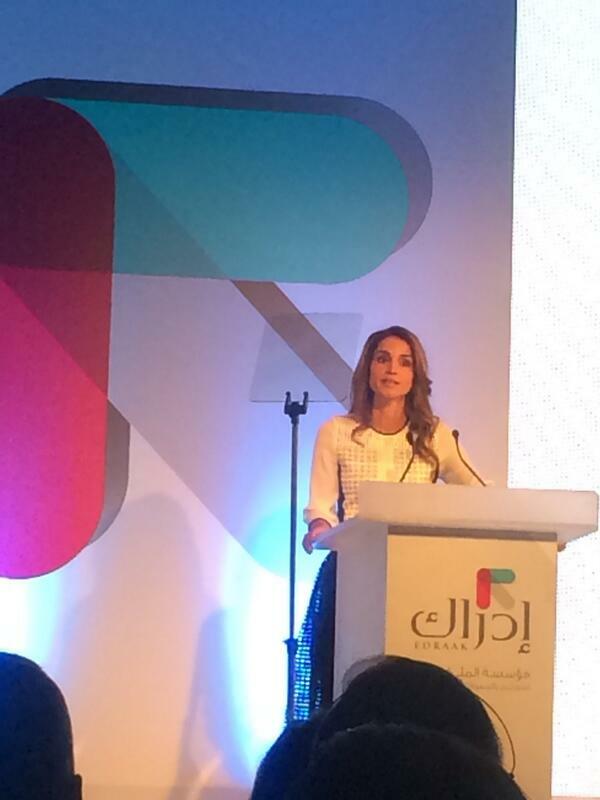 Queen Rania also called for building on previous national accomplishments and projects in the areas of family and childhood protection, which Jordan has put a great effort into building and pioneering in the region. However, many of these projects are not being utilized like the installation of closed-circuit television (CCTV) in juvenile courts in Jordan." rania was the original 2000 princess. after lady d's tragic loss, she became the compassionate,driven,beautiful,elegant and charming princess for years 2k. Of course not, they're divorced. 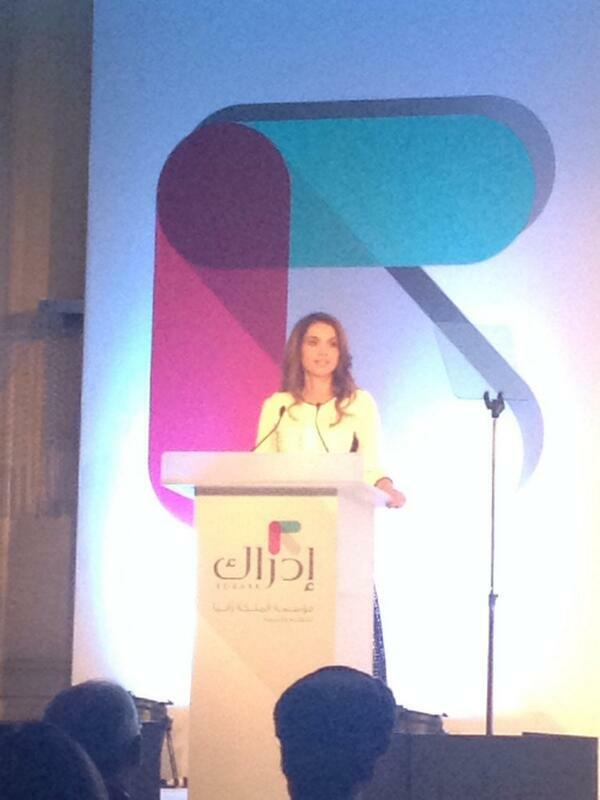 "Her Majesty Queen Rania Al Abdullah emphasized the importance of guiding youth towards vocational training opportunities that best suit the demands of the current job market. 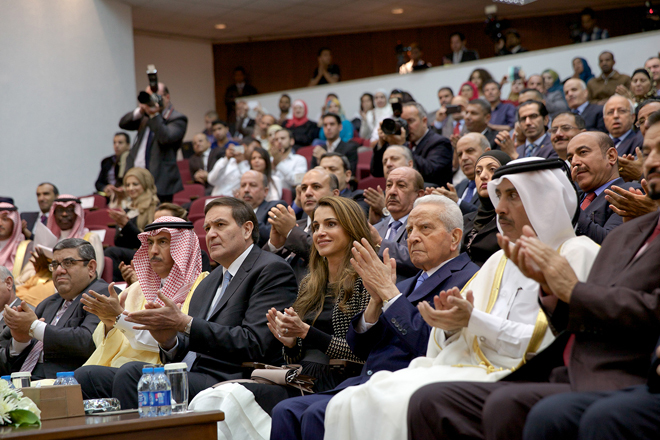 Queen Rania's notes were made today during the annual meeting of the Board of Trustees of Al Aman Fund for the Future of Orphans; an organization established by the Queen in 2006 to provide orphaned youth in Jordan with the necessary education and skills to become self-reliant members of the community after they turn 18 years old and leave their care centers. During the meeting, board members discussed achievements made by Al Aman Fund last year, as well as current and upcoming projects. Attendees also talked about possible ways to improve the fund's methodology and programs in order to increase the number of collected donations." Edraak, is a massive open online course (MOOC) platform, that is an initiative of the Queen Rania Foundation (QRF). QRF is determined to ensure that the Arab world is at the forefront of educational innovation. As such, QRF has capitalized on regional Arab talent to leverage technology developed by the Harvard-MIT consortium, edX, to create the first non-profit Arabic MOOC platform. The new MOOC platform will present the Arab world with unique and vital opportunities that can be part of a necessary revolution in education and learning. First, the platform will broadcast the best Arab professors to the region, offering original Arabic courses - developed by QRF - to further enrich Arab education. Through its partnership with edX, the platform will also give Arab learners access in Arabic to courses taught and developed at top tier institutions like HarvardX, MITX, and UC BerkelyX. All courses are delivered at no cost to the learner. Second, QRF envisions the use of the platform to showcase Arab role models by broadcasting short online courses by practitioners and professionals from a variety of fields spanning the arts and sciences. Finally, QRF believes that the platform will enable the Arab world to take advantage of the international interest in regional affairs to tell its own story to the world. Arab university professors and regional experts can use the platform to give courses in English about the region and its history. This will serve to inform a global audience that is interested in the region’s development.